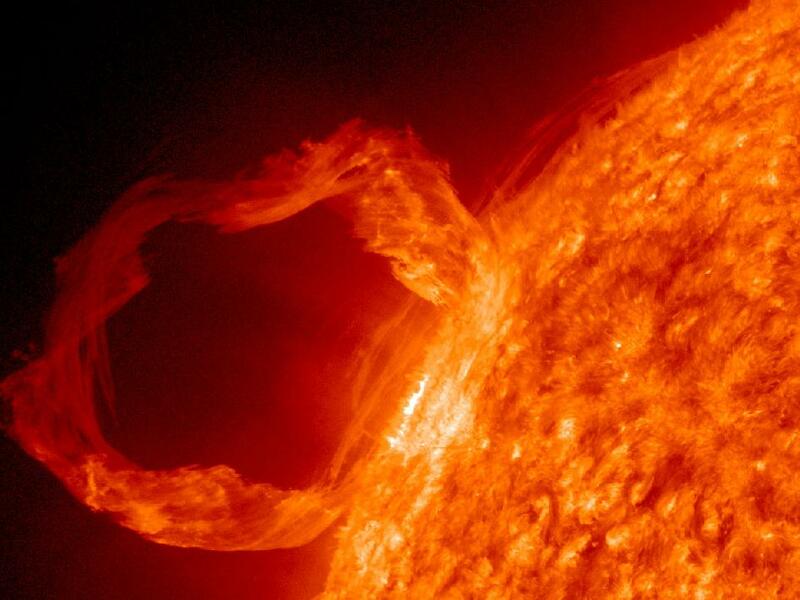 A prominence is a large, bright, gaseous feature extending outward from the Sun's surface, often in a loop shape (as shown in Fig.1, left) anchored to the Sun's surface in the photosphere. When observed on the Sun’s disk, prominences are often seen as dark filaments (as shown in Fig.1, right). And the density of the prominence is typically a hundred times higher than that of the coronal environment. It is a long-standing puzzle among solar physicists that why such dense matter can be sustained in the corona without falling down to the solar surface. It is commonly believed that the magnetic field in the corona must have played a key role in such phenomena, yet the coronal field is extremely difficult to measure, and scientists can only resort to numerical models to simulate it. A recent study done by Dr. JIANG Chaowei and Dr. FENG Xueshang from the State Key Laboratory of Space Weather, the National Space Science Center (NSSC), and colleagues from the University of Alabama in Huntsville (UAH), managed to obtain the magnetic field in the corona supporting a large-scale filament using a new coronal field reconstruction technique called a CESE-MHD-NLFFF code. With the input of SDO/HMI magnetogram observed on the photosphere, the code can extrapolate the magnetic field from the solar surface up into the corona, providing a 3D volume distribution of the field in the high-level atmosphere of the Sun. The extrapolated field contains a magnetic flux rope, which consists of a bundle of twisted magnetic field lines lifting up at a height of more than 20000 km above the photosphere (Fig. 2). Owing to the twisting, these field lines are concaved upward at certain locations, called magnetic dips, which can support the dense filament matter by the magnetic tension against the Sun’s gravity. A thin sheet consisting of these dips, thus containing dense matter, forms the observed S-shaped filament structure. Such mechanism is proven by a perfect agreement in shape between the computed dips from the extrapolated field and the observation of the filament (see Fig. 3). The filament is stably sustained because the FR is weakly twisted and strongly confined by the overlying closed arcades. Statistics from observations also show that most prominences will eventually erupt, therefore lead to the coronal mass ejections, which are major drivers of space weather. As a matter of fact, the capability of obtaining the coronal magnetic field that supports filaments is crucial to understanding their structure, stability and eruption, and will undoubtedly be of great help to the space weather forecast as solar physicists believe. Their work entitled Nonlinear Force-free Field Extrapolation of a Coronal Magnetic Flux Rope Supporting a Large-scale Solar Filament from a Photospheric Vector Magnetogram was published in The Astrophysical Journal Letters(ApJ), doi:10.1088/2041-8205/786/2/L16. 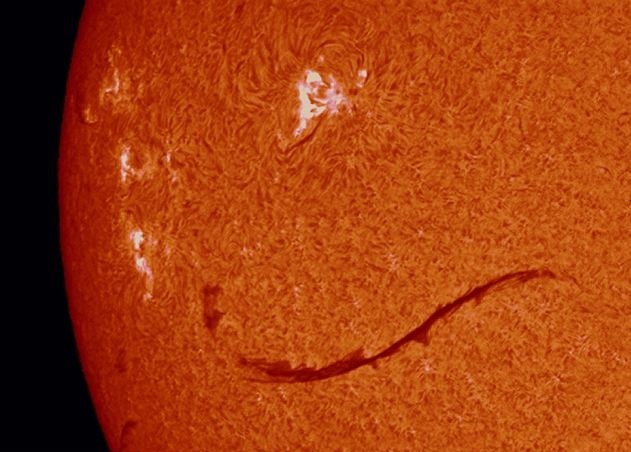 Fig1: An erupting prominence (left) and a filament observed on the disk. Fig2: left is an SDO/AIA-171 image, showing the S-shaped filament channel. Right is the reconstructed coronal field including a twisting FR (colored field lines). Fig3: The computed magnetic dips from the extrapolated field, compared with the BBSO/Hα observation of the filament.